Last Minute Easter Crafts for Kids with Bostik! Yey it’s the Easter holidays! There’s kids to entertain, chocolate to buy (or make), relatives to feed and before you know it you’ve forgotten the crafts and the children are bored!! If you have found yourself in this situation then fear not because we’ve got some really quick and easy last minute Easter Crafts that are sure to please. 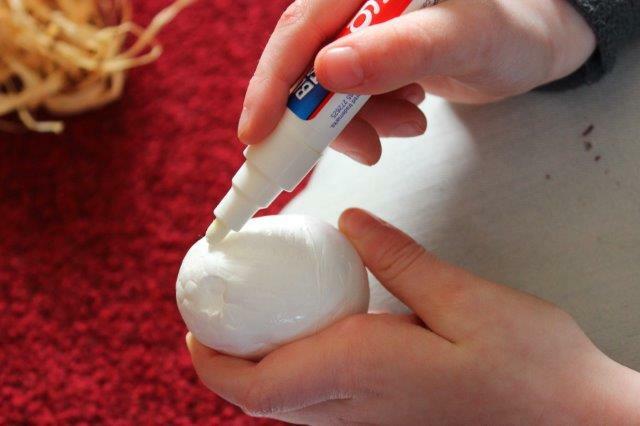 Using the Bostik Glu pen cover the egg shape with a thin layer of glue. Throw/ chuck or coat the gluey egg in shredded tissue paper. Squash the paper together to make sure all the white spaces are covered. 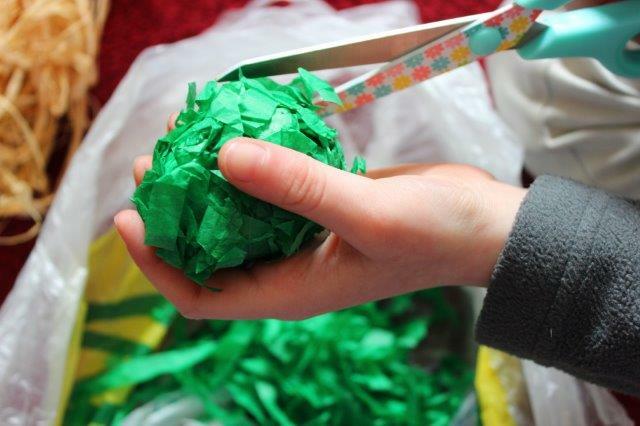 Trim off the excess pieces of tissue paper with scissors until your monster or chick looks perfect. Finish him off with a pair of googly eyes and if you’re making a chick add a foam or felt beak. Of course every Easter creature needs a good nest to live in and we have two ways to make him or her their brand new home. 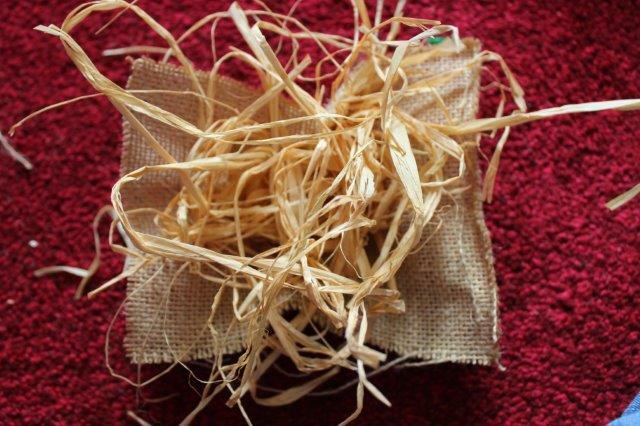 Take the lid of a cardboard box and place into the centre of a piece of hessian fabric. 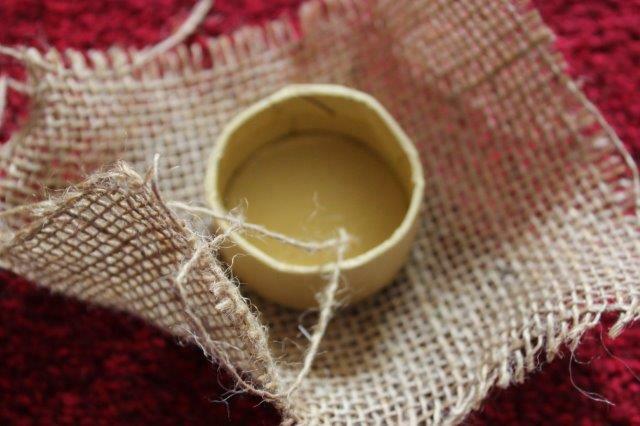 Using Bostik Glu discs secure the hessian into the lid by folding and sticking into the centre. 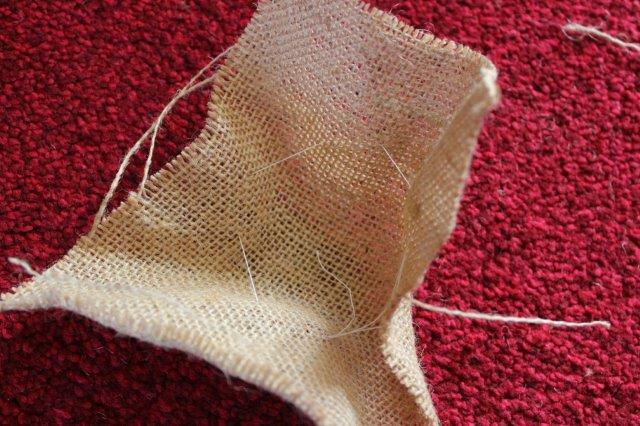 Take another piece of hessian and sew a rough circle shape using large stitches. Pull the ends together to gather the material and tie in a secure knot. Stuff pieces of raffia under each of the stitches to pad out and fill the nest. This entry was posted in Tutorials and tagged chick, children, craft, easter, kids, make, monster, tutorial. Bookmark the permalink. 2 Responses to Last Minute Easter Crafts for Kids with Bostik!